"Studio Rockers @ The Controls Level 3"
London-based record label Studio Rockers unveils its latest showcase of innovative talent with the latest in their '@ The Controls' series, set for release on 26th August 2016. Always striving to unearth and promote new talent, Studio Rockers has established itself as one of the heaviest and most innovative labels in the electronic scene. 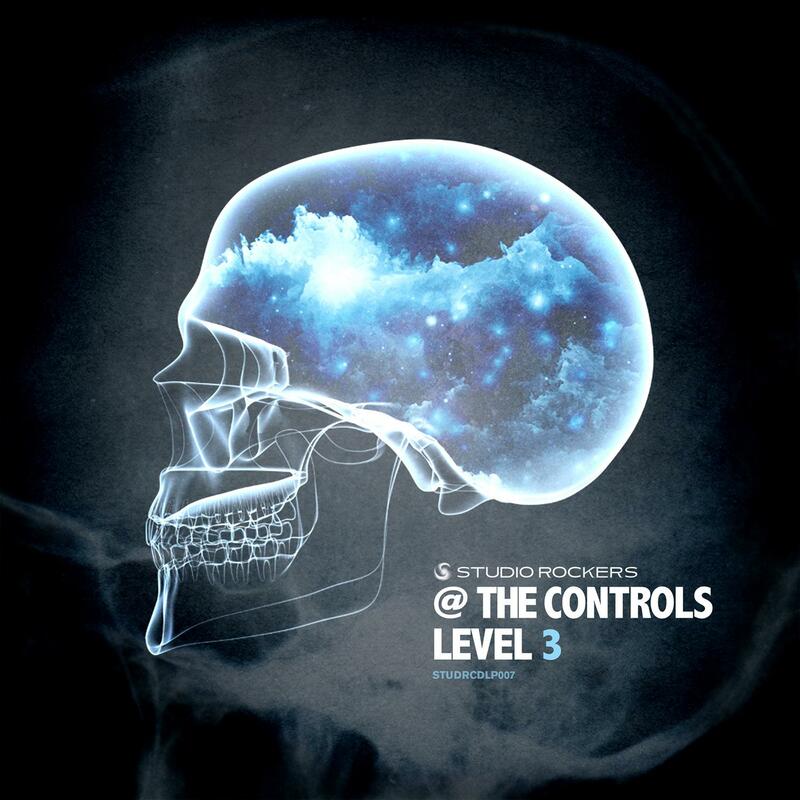 'Studio Rockers @ The Controls Level 3' gathers together new and exclusive tracks from artists familiar to the label and some new faces. Collecting broken-beat, jungle, house and downbeat; a soulful vibe unites the tracks - cosmic sounds, heavenly chords and funky bass pitched with beats ever so slightly swung from centre. Nuphlo AKA Mannie Sandhu is a producer/DJ based in Leeds. His style is a combination of depth and dancefloor while always trying to keep things a bit different. Redpine & Solo are London and Leeds based musicians John Stuckey and Sam Moss. Two artists from totally different musical backgrounds coming together with one clear goal – to create electronic music with depth and soul. EVM128, AKA Evermean Beats is a producer and DJ originally from Bristol, now based in East London. He has been on the radar for a few years and has supported the likes of LV, Artwork, Darq E Freaker, Flako, Afrika Hi-tek, Dj Vadim, Roots Manuva, Gilles Peterson, Norman Jay and Don Letts. Hailing from the small town of Stroud, SW England, young upstart Marcel Lune (AKA Motz Workman) has been quickly building his reputation as one of the hottest new talents in UK Bass Music. With his re-fix of Inner City’s classic 'Big Fun' and remixes for Enter Shikari, The Moodyboyz & Zacky Force Funk (One of Gonjasufi’s latest signings) underway he has already gained support from the likes of Paul Woolford and Mala. Though he was already playing around with a bit of D’n’B productions for a while, it was only after a revelatory visit to DMZ at Brixton’s Mass, that Izik created the Bunny On Acid moniker, influenced by the dubstep movement and the FlyLo-like fringes of the hip-hop world. Lewis Badwan is a composer based in Kingston-Upon-Thames. Focusing on percussion and melody, Lewis’ style amalgamates both Eastern and Western influences whilst, to an extent, still haunts the contemporary London scene. Written by Manjinder Sadhu. Published by Dharma Songs. Written, Produced & Mixed by Joe Potts. Published by Dharma Songs. Written & produced by Redpine & Solo. Guitar by Connor McDonald. Published by Dharma Songs. Written & Produced by Langa Manyoba. Mixed by Marcel Lune. Published by Dharma Songs. Written & Produced by Luke Meads. Published by Dharma Songs. Written & produced by Motz Workman. Published by Dharma Songs. Written, Produced & Mixed by Leon Atter. Published by Dharma Songs. Written, Produced & Mixed by Wolfram Gruss. Published by Dharma Songs. Written & Produced by Isaac Finley. Published by Dharma Songs. Written, Produced & Mixed by Kyle Smith. Published by Dharma Songs. Written, Produced & Mixed by Kimberley Robinson. Published by Dharma Songs. Written, Produced & Mixed by Caz Bowyer. Published by Copyright Control. Written & Produced by Magnus Albert Vilhelm Wanscher. Published by Dharma Songs. Written by Michelle Denny, Luke and Japer Norland. Produced & Mixed by Luke and Japer Norland. Published by Copyright Control. Written & Produced by Boris Holmes. Published by Dharma Songs.